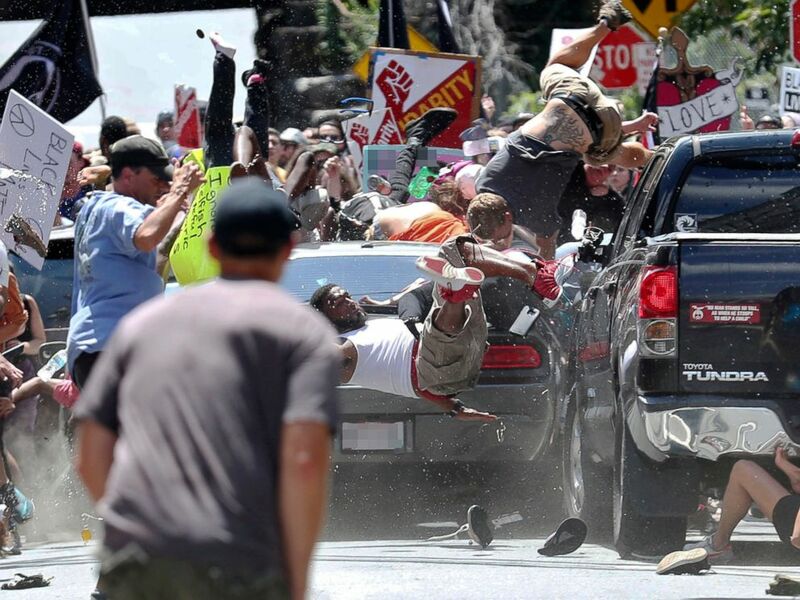 A federal jury in Washington, D.C., indicted an Ohio man on hate crime charges stemming from a deadly car attack last year in Charlottesville, Virginia, that prosecutors said was premeditated and racially motivated. 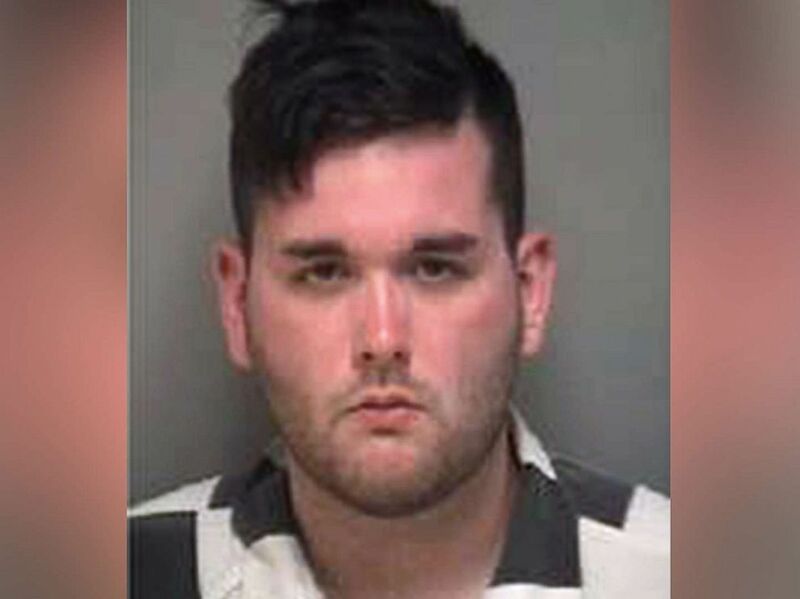 James Alex Fields Jr., 21, of Maumee, Ohio, was indicted on 30 hate crime charges connected to the August 2017 attack, including several specifically linked to the death Heather Heyer, 32, of Charlottesville. "At the Department of Justice, we remain resolute that hateful ideologies will not have the last word and that their adherents will not get away with violent crimes against those they target," Attorney General Jeff Sessions said in a statement. "Last summer's violence in Charlottesville cut short a promising young life and shocked the nation," Sessions said. "Today's indictment should send a clear message to every would-be criminal in America that we aggressively prosecute violent crimes of hate that threaten the core principles of our nation." Fields is being held without bail in a jail in Virginia, where he is already facing state charges of second-degree murder, malicious wounding and one count related to leaving the scene. ABC News has reached out to his attorney in Virginia, who did not immediately return phone messages or email seeking comment. 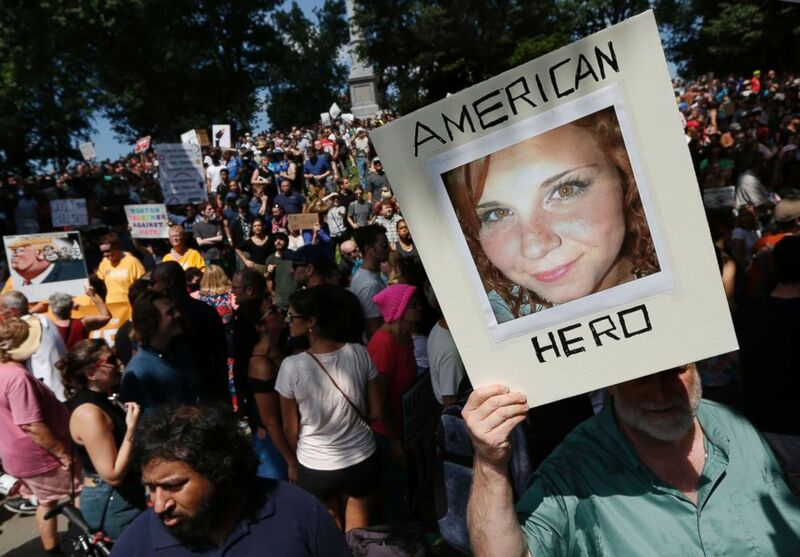 Heyer was part of a group counter-protesting a white supremacist rally in downtown Charlottesville on Aug. 12, 2017, when Fields, driving a Dodge Charger, allegedly plowed into the crowd at high speed. The incident left 19 people injured. 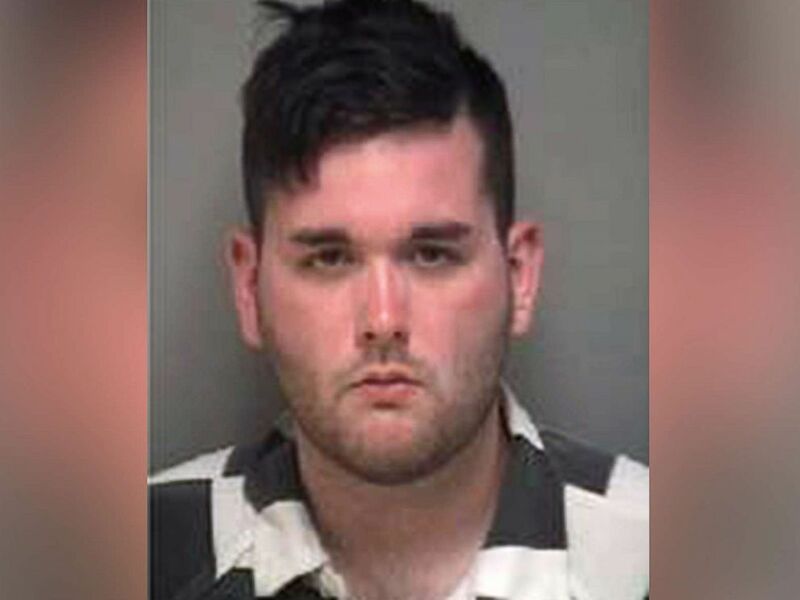 James Alex Fields, Jr., 20, of Maumee, Ohio is pictured Saturday, August 12, 2017 in a mugshot released by the Abermarle Charlottesville Regional Jail. "Hatred and violence have no place in our communities," FBI Director Christopher Wray, said in a statement. "The investigation of hate crimes is a top priority of the FBI, and we will continue to work with our partners to ensure those who perpetrate such despicable acts are held accountable." According to the indictment unsealed Wednesday, Fields drove from his home in Ohio to attend the "Unite the Right" rally at Emancipation Park in Charlottesville, which featured white supremacist leaders, and that he joined in "chants promoting or expressing white supremacist and other anti-Semitic and racist views." After local authorities declared the rally an "unlawful assembly" and dispersed participants, Fields, according to the indictment, returned to his car and drove to where the counter-demonstration was occurring on Fourth Street in downtown Charlottesville. Protesters were chanting and carrying signs promoting equality and denouncing racial and other forms of discrimination. A counterprotester holds a photo of Heather Heyer on Boston Common at a "Free Speech" rally organized by conservative activists, Aug. 19, 2017, in Boston. With no vehicle behind him, Fields slowly reversed his vehicle to the top of a hill, according to the indictment. Heyers' mother, Susan Bro, has created a foundation in her daughter's honor, but told ABC affiliate WSET that she doesn't expect "any real closure." "What other people have suffered is ongoing and will continue to haunt them for many years. Some people will never fully recover from what they've experienced and my heart goes out to them," Bro said. "Having the foundation, of course, has given me a purpose and a direction in her honor, but there's never any real closure, you just kinda learn to live anyway." An indictment says that prior to the attack Fields obtained a series of social media accounts espousing the "belief that white people are superior to other races and peoples: expressing support of the social and racial policies of Adolf Hitler and Nazi-era Germany, including the Holocaust." His social media accounts also "espoused violence against African Americans, Jewish people and members of other racial, ethnic and religious groups he perceived to be non-white," the indictment reads. In addition to posting such beliefs, authorities say their investigation found that Fields openly expressed his racist attitudes to friends and associates. The government alleges while on his way to Virginia, Fields contemplated harming others, according to the indictment. When a family member texted Fields telling him to be careful, he allegedly texted back, "We're not the ones who need to be careful" and attached an image of Hitler, the indictment charges.